Wow, who would have thought a year ago that today we would be sending out New Years Wishes to our designer, cartographer, advertisers, points of sale, and all the other people who helped us, supported us and cheered us on? What started exactly a year ago with a simple idea, grew to something extremely big in only 365 days. We thought to ‘quickly’ create a city walk and learned along the way that there was much more to it than we could have ever imagined. Despite the many obstacles on our walking trail, the first edition of the Skopje City Walk was a great success. We are already working hard on the preparations for the second edition, with even more information and maybe some extras. Also our readers, everyone who has purchased the city walk and our Facebook fans deserve a big ‘thank you’. 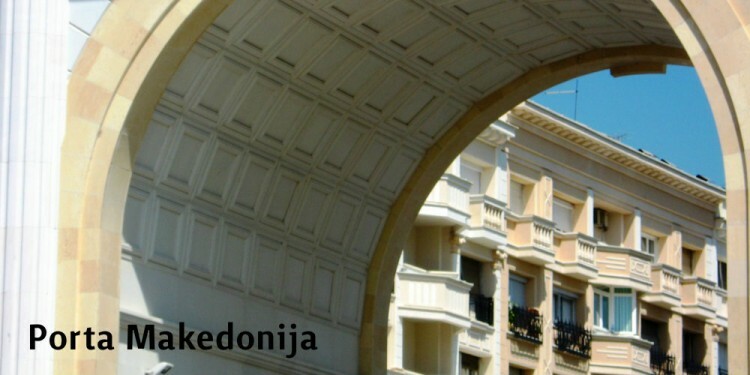 Without your support, the Skopje City Walk cannot exist. 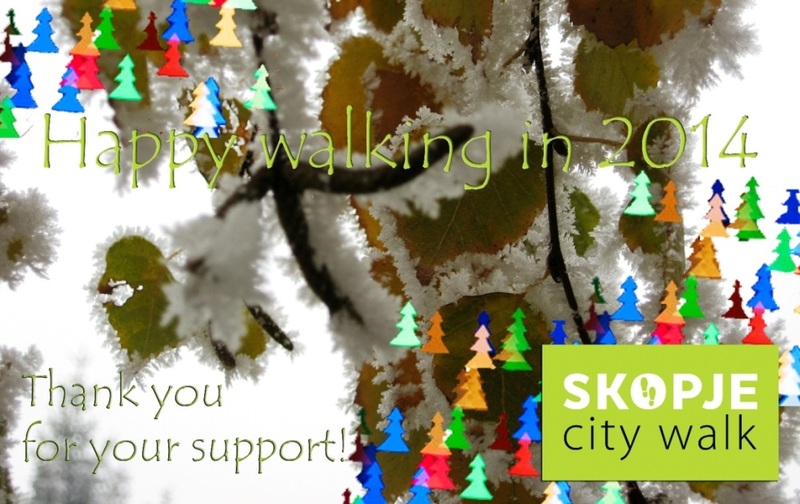 We therefore wish you all much happy walking in 2014! The tourist season is over, but that does not mean the walking season is over as well. 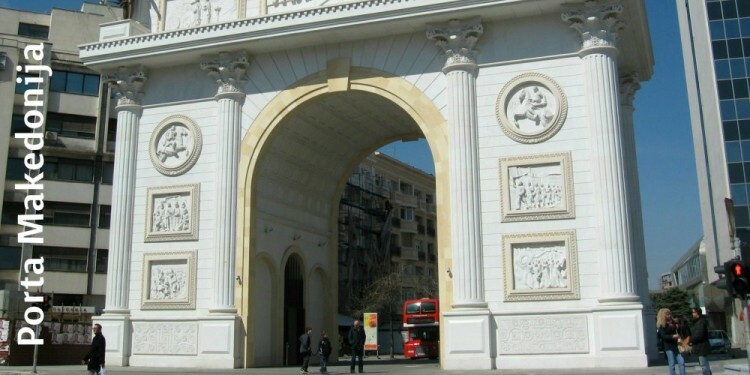 Many business travelers visit Skopje the whole year round, and they want to sight-see the city as well. We will therefore use the winter months to promote the City Walk as a corporate gift. 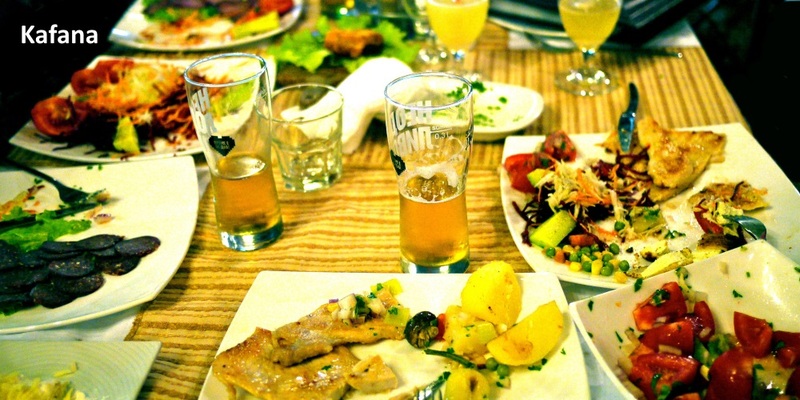 Business partners who do not have much time to show their business relations around, will find a good alternative in Skopje City Walk. In addition, the brochure in itself is a beautiful reminder of the city. The media attention really helps us in this. We have already been approached in response to the article in the newspaper by a party who wanted to receive a quote for ninety brochures. Such requests are very welcome! 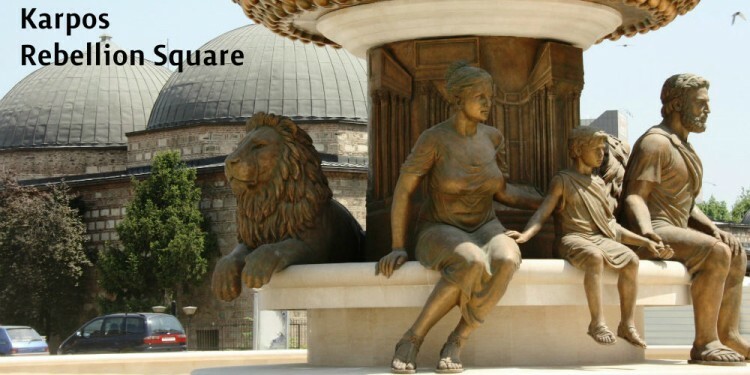 Besides being the first of its kind, the fact that two Dutch women created the Skopje City Walk is news in itself. Already in the first round of media attention in August reporters wrote about the Dutch women who gave Skopje a city walk. 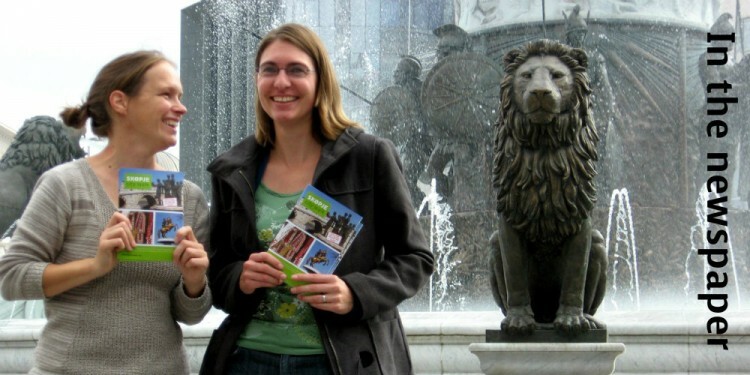 In September, the columnist of a national newspaper called Skopje City Walk the walking tour ‘of two Dutch daughters-in-law’. The (online) magazine for international volunteers in Macedonia approached us for an interview as well. But the icing on the cake came when a reporter from the same national newspaper dedicated almost a whole page to the Skopje City Walk. With even a link to the article on the front page! The pictures of the article in the newspaper can be found on Facebook. The links to the online articles can be found on our Media page. 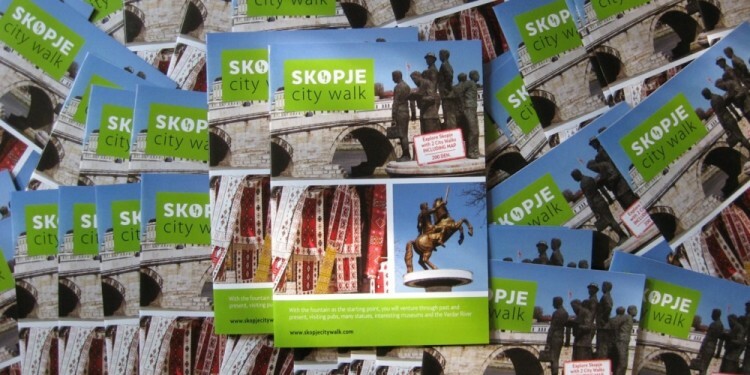 Another milestone: since this week, the Skopje City Walk is also available at all four souvenir shops in the city center! 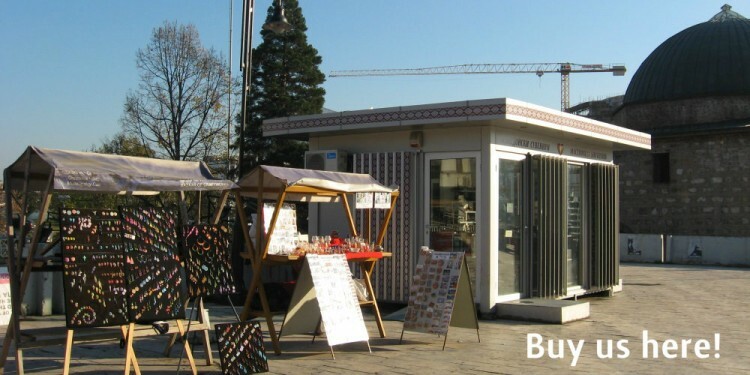 These small, glass kiosks were build last summer and are owned by the National Museum. 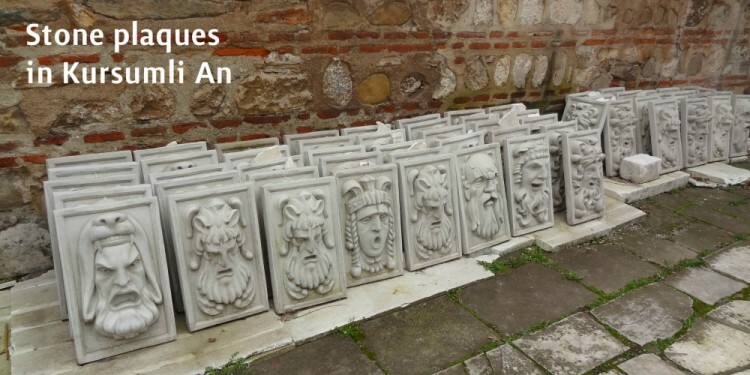 The walk through the old town leads along this museum, so this is a good deal for both parties. 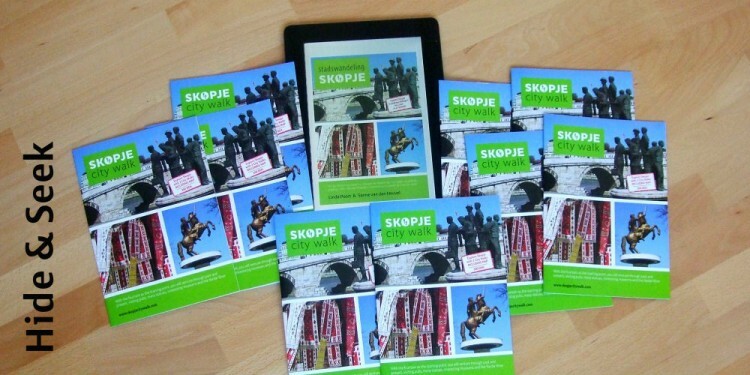 Of course, the Skopje City Walk is also available in the museum gift shop, and in the Porta Makedonija as well, another sight along the route. Let the late season begin!